How Gail Corder Fischer smiled and dialed her way to the top. In her own words, Corder Fischer got her start at 14-years-old as a “French fry girl at McDonalds.” By 15, she’d discovered a “knack for sales” from selling carpet cleaning services over the phone. Without instruction, Corder Fischer took her boss’s sales script, opened the Yellow Pages, and started dialing for dollars. One could say she was the original robocall. 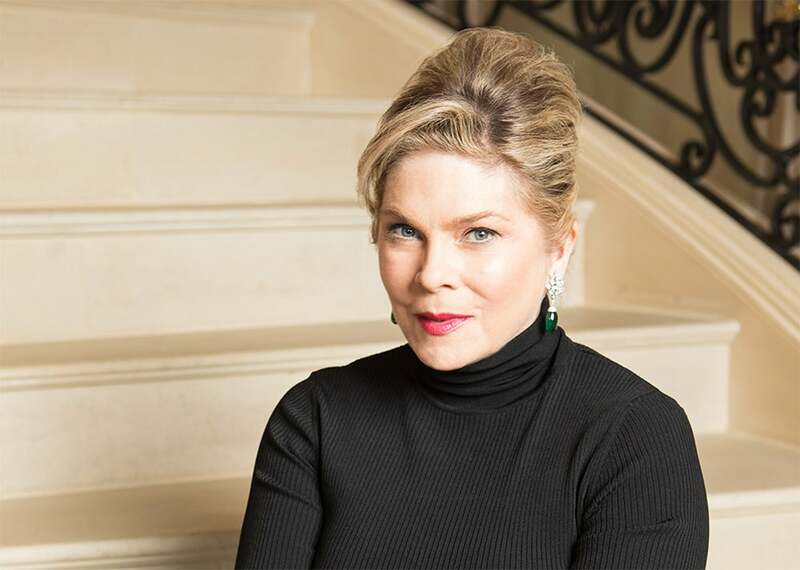 Gail Corder Fischer, co-founder and executive vice chairman, Dallas-based Fischer & Company. In the male-dominated world of commercial real estate, Corder Fischer used supreme self-confidence to her advantage. “With cold-calling, you have to be determined. It's a numbers game. Just keep smiling and dialing,” she quips. 1. Double down on due diligence. Gathering intelligence and building a relationship with a prospect can take time. Be patient. Aim to become their personal, indispensable thought leader who consistently provides meaningful value. Forward useful articles with highlighted passages of interest, and your thoughts or ideas. Send them a handwritten note or thoughtful gift. You could even offer to work for free and say, “If you like my work, just pay whatever you think it's worth.” These are all “hooks” to entice someone to give you a face-to-face appointment with the decision maker. Corder Fischer recommends having three hooks. Another hook could be a personal connection like the same alma mater, hometown, country club, vacation spot, hobby, or even your spouses' common interests. Your unique approach to solving the prospect’s current challenge is also a hook; maybe you have proprietary software that drastically reduces the prospect’s costs beyond what they thought possible. 2. Nurture your company like a child. Corder Fischer shares that building a business is like raising a child. “The first 10 years are the hardest,” she says. “I slept on a couch after my first-born and kept a baby bed in a spare office. Cash management is the key to scaling. “If you can do something yourself, don’t hire someone for it,” says Corder Fischer. “In the beginning, you're the accounting department, the marketing department, the envoy—everyone. Only when you start having consistent success do you make your first hire, then the second.” But hire cautiously. Corder Fischer recommends keeping an eye on your margins, so you don’t scale too quickly. She also advises using technology to help, but make sure to keep it simple. “There are billion-dollar companies that run on QuickBooks. You don’t need an expensive or complicated accounting system,” she shares. 4. Stand firm in your opinions (use your 'big girl' voice). As your company grows and you assume a greater leadership role, be firm in your ideas and opinions; Corder Fischer stresses this is especially crucial for women in male-dominated fields. 5. Never take 'no' for an answer. Even when painful and laborious, enthusiastically attack every obstacle; it’s an opportunity waiting to be discovered. And Corder Fischer is living proof that hard work pays.